Форум » Worms 4 Mayhem » 6.3. Прочие идеи и их обсуждение » Missing sounds the series Worms, program XomView? Missing sounds the series Worms, program XomView? Please talk Alexbond program XomView does not effects. 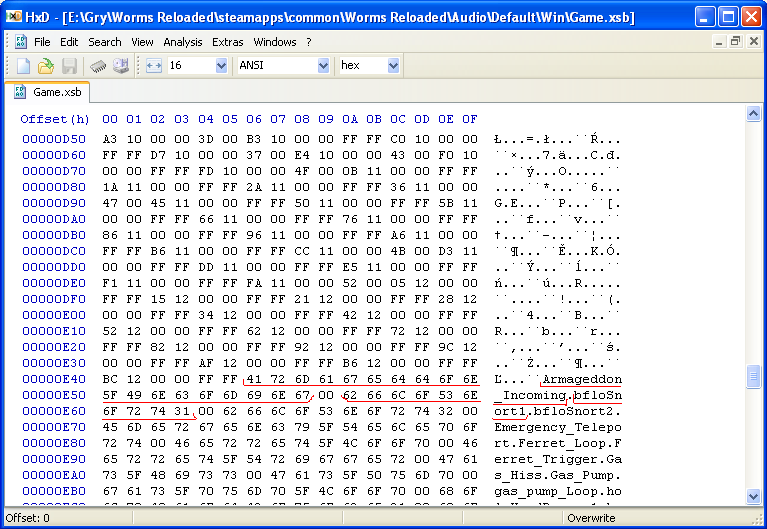 fsb - Error open voRussian.fsb compression PCM in Worms Ultimate Mayhem. 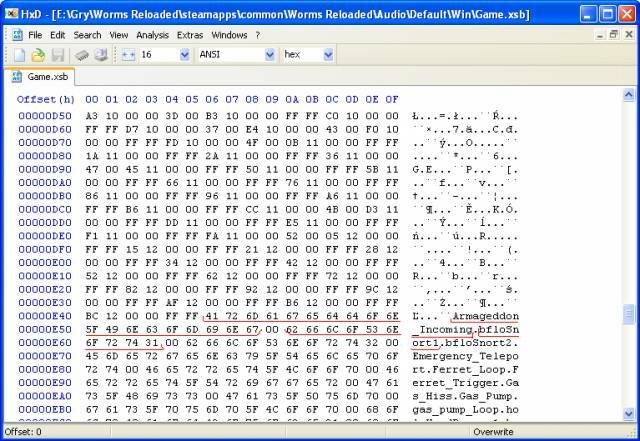 xsb - Add PCM and ADPCM compressions on file .xsb in Worms Reloaded and Crazy Golf. Soundbank Game.xsb the wave Game.xwb selected compression ADPCM.